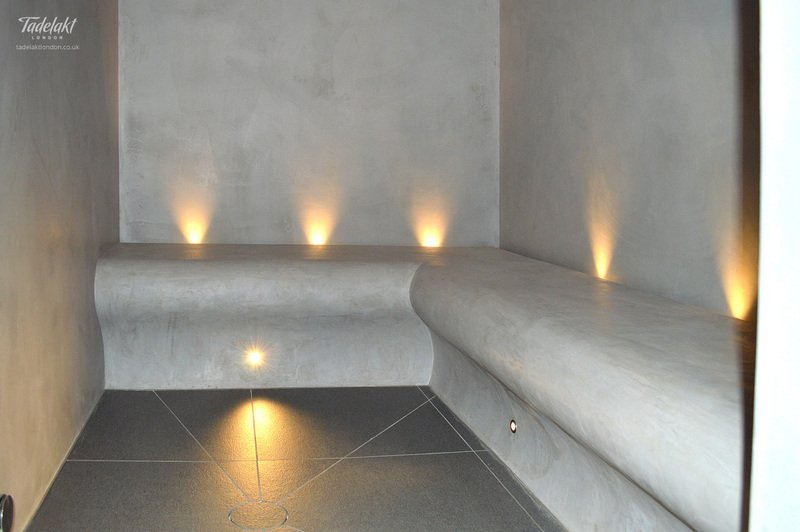 The waterproof nature of Tadelakt makes it the perfect choice for pool areas and steam rooms. 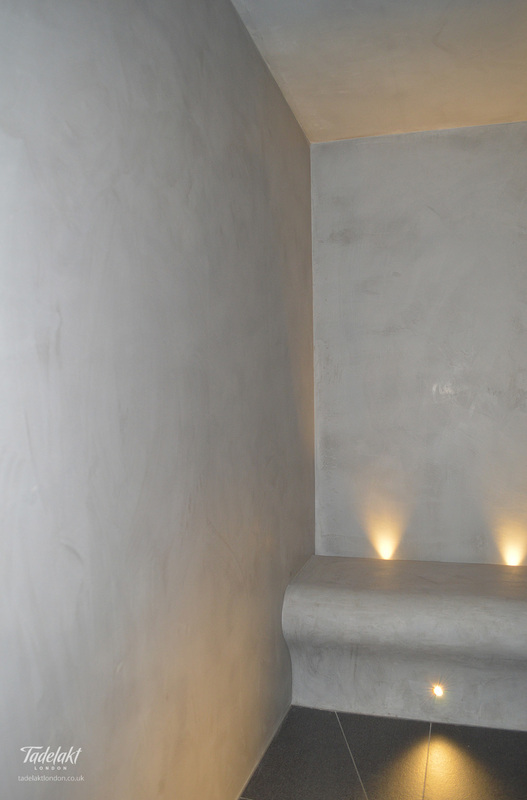 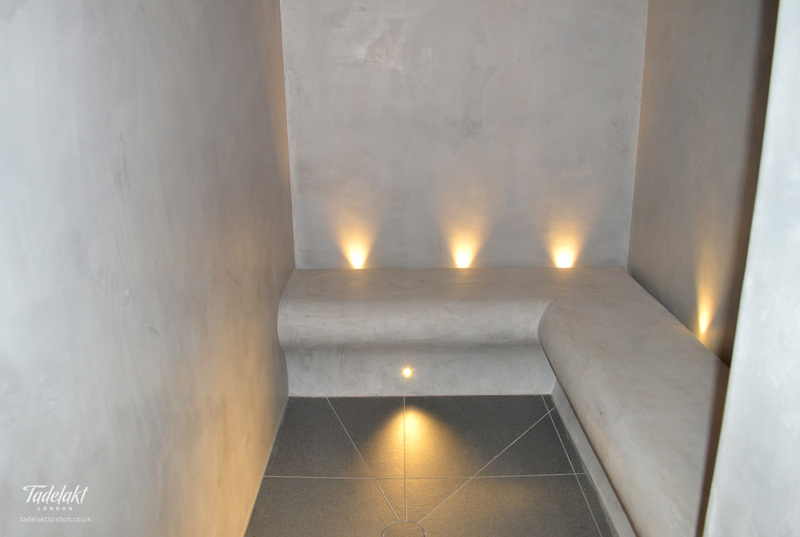 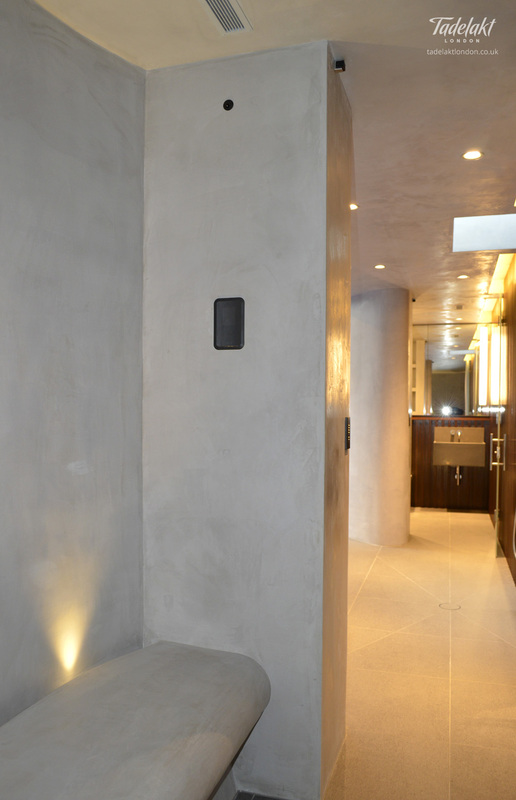 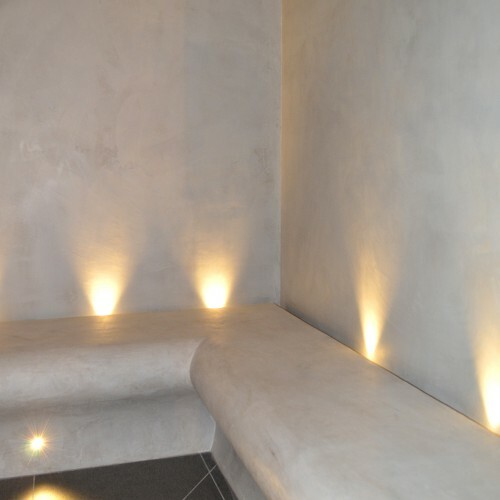 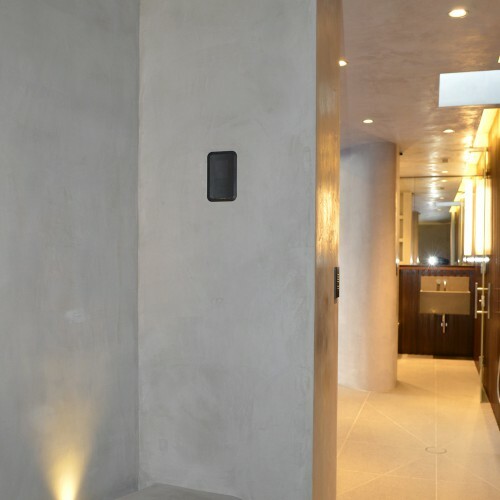 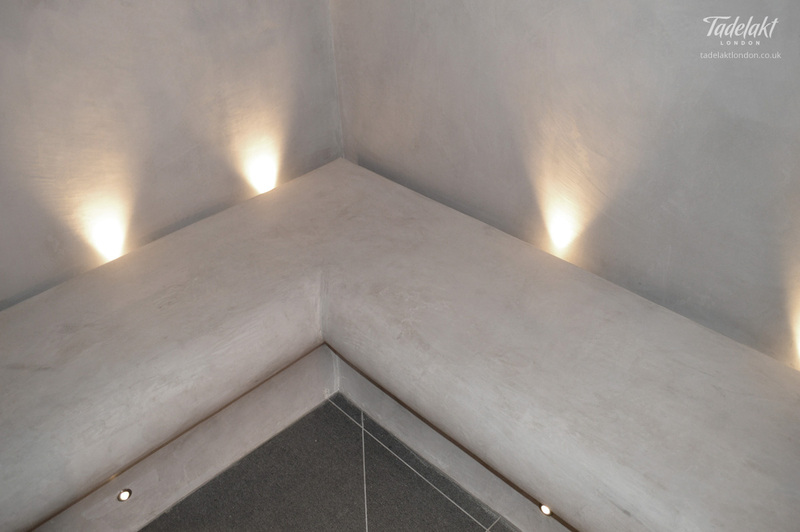 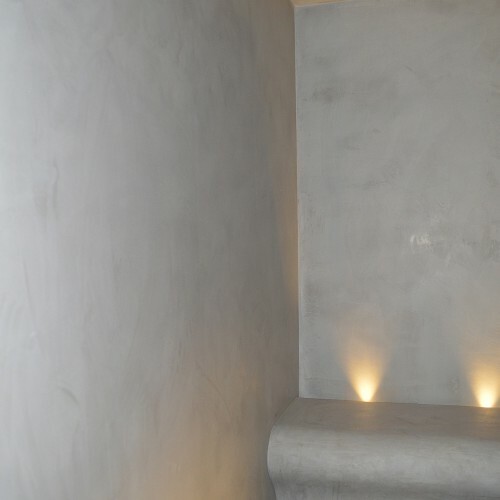 Finished in a soft grey, the ceiling in this area is finished in waterproof plaster as well. 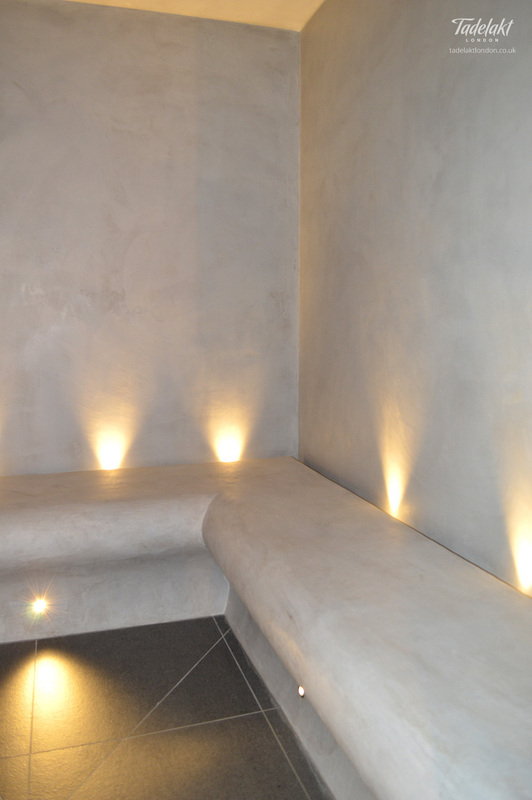 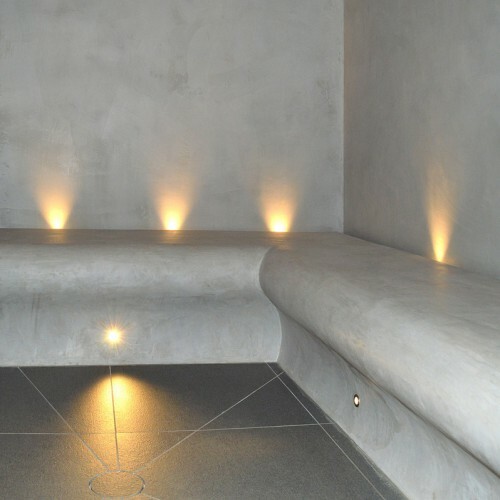 This handsome backlit bench showcases how Tadelakt can be used in building custom structures.